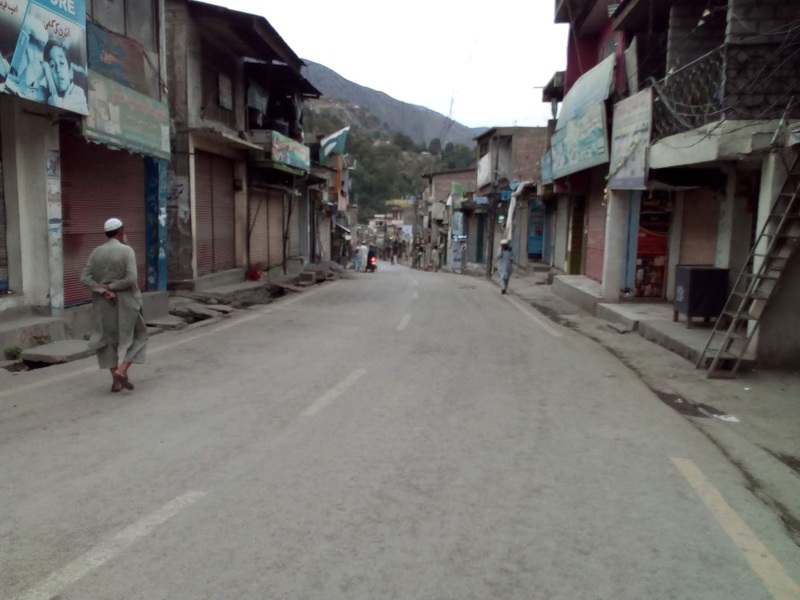 CHITRAL: On the call of president Trade Union Shabir Ahmad all Traders, shopkeepers and vendors started a shutter-down strike in Chitral saying the protest would continue till the acceptance of their demands. Meanwhile, the drivers’ union also announced to observe a strike in solidarity with the traders. All bazaars, markets and other business centers, including vegetable and fruit shops, remained closed. 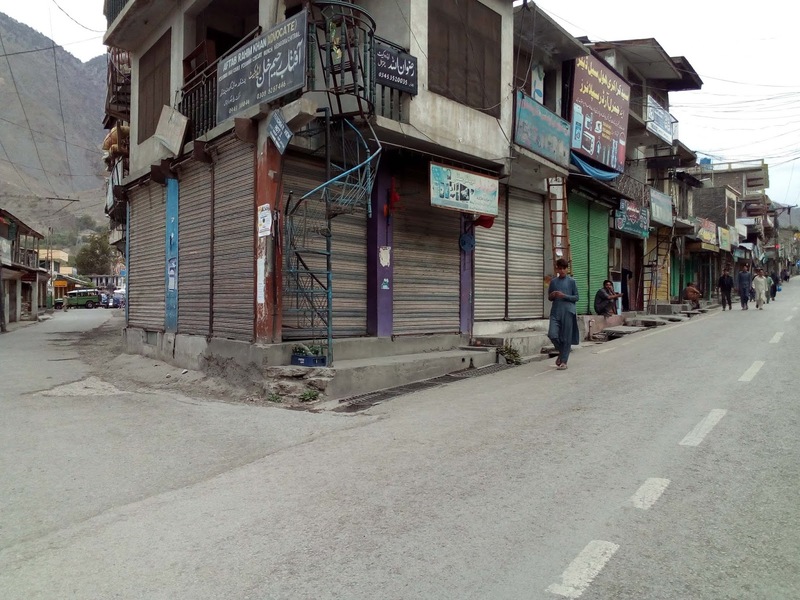 Traders association president Shabbir Ahmed told that the bazaars lacked all basic facilities but the local administration had been harassing shopkeepers and sealing their business centers on different excuses without providing them the needed facilities. Shabbir Ahmed later told a gathering of protesters at PIA Chowk that the admin had been meting injustices to the traders for long. First, the traffic movement was made one-way in the bazaar area which badly affected shops and other business located inside the bazaar and then the administration started imposing fines on the allegation of substandard and expired items being sold in shops causing losses to the shopkeepers, he added. He aid the bypass road lacked a drainage system while the bazaars were facing shortage of water, electricity, and lack of cleanliness. There is also no solar power arrangement and the administration embezzled around Rs9 million under the garb of installing solar power panes in the area. He also complained that there was even no facility of washrooms for the public in the bazaar area. He said the administration was sealing shops without any notice or listening to the traders and shopkeepers. They alleged that due to no street light in Bazar stray dogs walking after evening and we face a lot of problems. He said without carrying out a laboratory test, the administration officials were declaring different commodities of daily use as expired and minting money from the shopkeepers by imposing fines on them. 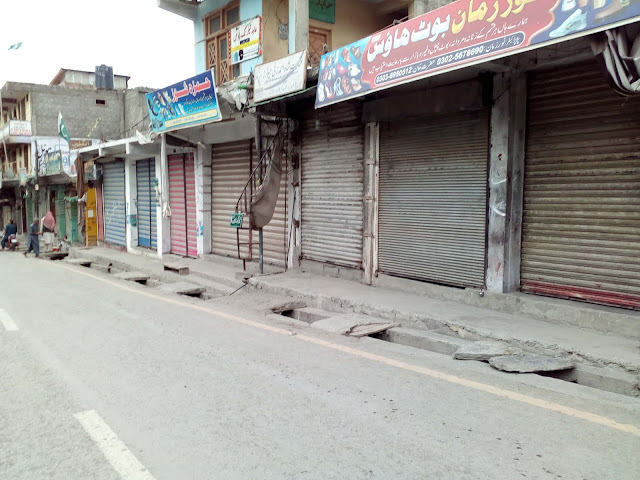 As a result, the traders and shopkeepers have decided to go on the strike and if their demands are not met the strike would be extended to other areas including Drosh and Booni.